The event will be canceled if it rains. 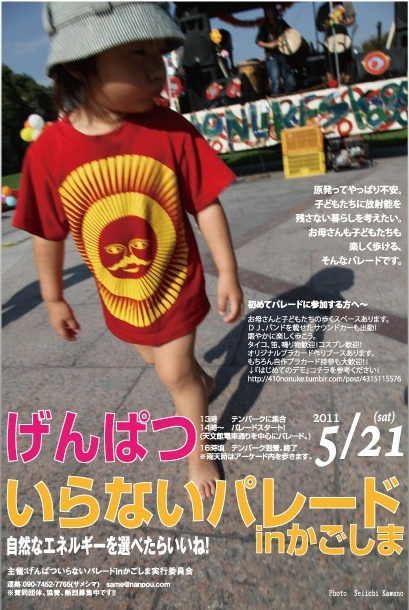 There will be a protest against nuclear power plants in Kagoshima on May 21st. Kagoshima Prefecture in Kyushu has the Sendai Nuclear Power Plant. The power plant has two reactors, and the Kyushu Electric Power Company is planning to build the third reactor.